A multi-format, surround and stereo recording of five of my compositions made with slippery chicken is now available for order or download. Made possible by a grant from the AHRC, the recording accompanies the open-source release of my algorithmic composition software and includes liner notes in a beautiful poster-style print made by Timothy Donaldson. Liner notes below. As your old maths teacher said about numbers, algorithms are nothing to be scared of. Following Descarte’s principle of solving difficult problems by dividing them into smaller, more manageable ones, an algorithm is merely a step-by-step procedure aimed at solving a particular problem. The gap between imagining a new piece of music and realising it in score or any other format is often bridged by composers in an algorithmic manner, whether explicitly or not. Algorithmic composition formalises this process and makes it explicit. It usually involves the use of a finite set of step-by-step procedures, most often encapsulated in software routines, to create music. All the works on this release, for example, were created by the author with his algorithmic composition software, “slippery chicken” (www.michael-edwards.org/sc). The formalisation of musical composition is nothing new. Bach’s fugues can be analysed in terms of their algorithmic properties. Going further back, to around 1026, Guido d’Arezzo, the inventor of modern staff notation, developed a formal technique to set a text to music. A pitch was assigned to each vowel so that the melody varied according to the vowels in the text. But the beginnings of algorithmic composition can be traced even further back, to the ancient Greeks and the Jewish Kabbalah. What would be the motivation to make music algorithmically? The explanation lies at least partly in the cognitive processes involved in experiencing music. As we listen, we are not merely enjoying the sensual sonic experience of the moment but setting up expectations of what is to come based on what has already occurred, not only in the music we are listening to but in other pieces we know that are similar to it, as well as all the music we have heard thus far in our lives. Essentially, using our memory and predictive faculties, we listeners create musical architecture in our brains, and the more actively we listen, the more elaborate that architecture becomes. For centuries then, composers have taken advantage of this ability to build sonic-structural relationships in time in order to formalise the compositional process. Formal planning cannot be conflated with algorithmic techniques of course, but that the former should lead to the latter was a historical inevitability. The potential for software algorithms to enrich our musical culture has been established, in the 50+ years since such techniques were first introduced, by personalities as diverse as Hiller, Xenakis, Cage, and Eno. There are many riches to be mined in algorithmic composition as, amongst other benefits, the expression of compositional ideas in software often leads to unexpected and exciting results, and these can seldom be achieved via traditional means. Algorithmic composition techniques can thus play an energising role in the development of modern music across all genres and styles. “slippery chicken” can be seen as a bridging technology. Traditional composition training in the West does not usually include algorithmic or computer music techniques, despite the fact that many composers use the computer regularly in their work. If the use of algorithmic techniques is to increase, as the author believes is inevitable, it is essential that bridging mechanisms are found. Systems based around or including programming interfaces to traditional notation are one such solution. But the programming aspect is important, as this gives the freedom and flexibility that stimulates innovation. Also important is that notation is not the exclusive focus, as many forms of music do not involve the use of Western musical notation in their practice. An open-source, specialised algorithmic composition programme written in the general programming language Common Lisp and its object-oriented extension, CLOS, “slippery chicken” has been in development since 2000. By specialised as opposed to generalised, it is meant that the software was originally tailor-made to encapsulate the author’s personal composition techniques and to suit his own compositional needs and goals. As the software has developed however, many general-purpose algorithmic composition tools have been programmed that should be useful to a range of composers. The system does not produce music of any particular aesthetic strain; for example, although not programmed to generate tonal music the system is quite capable of producing it. Furthermore, the software’s release as open-source, object-oriented Common Lisp code encourages further development and extensions on the part of the user. The algorithmic system in “slippery chicken” has been used to create musical structure for pieces since its inception and for several years now has been at the stage where it can generate, in one pass, complete musical scores. It can also, with the same data used to generate those scores, write sound files using samples, or MIDI file realisations of the instrumental score. The project’s main aim is to facilitate a melding of electronic and instrumental sound worlds, not just at the sonic but also at the structural level. Hence certain processes common in one medium (for instance sound file slicing and looping) are transferred to another (the slicing up of notated musical phrases and the instigation of sub-phrase loops, for example). Techniques for the innovative combination of rhythm and pitch data—arguably one of the most difficult aspects of making convincing musical algorithms—are also offered. Perhaps the debate surrounding the relative merits of analogue versus digital studio technology have most convincingly shown that combinations of the old and the new offer the best solutions. This applies just as well to music composition and performance. Formats that continue to include rather than bypass the talented and highly-trained acoustic musicians which our musical infrastructure has produced yield the most impact, particularly when viewed, for better or for worse, from the audience’s perspective. To this end, hybrid works combining digital and acoustic instrumental technologies are ideal. 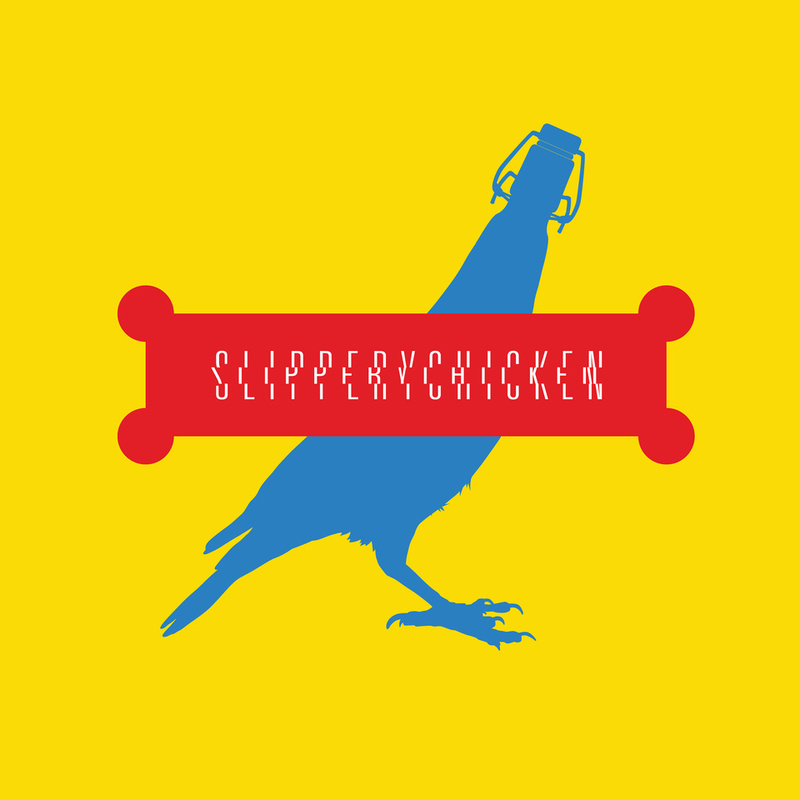 “slippery chicken” is focussed on exactly such musical bridging solutions: using the computer to combine and meld together electronic and acoustic resources at both the structural and formal level.